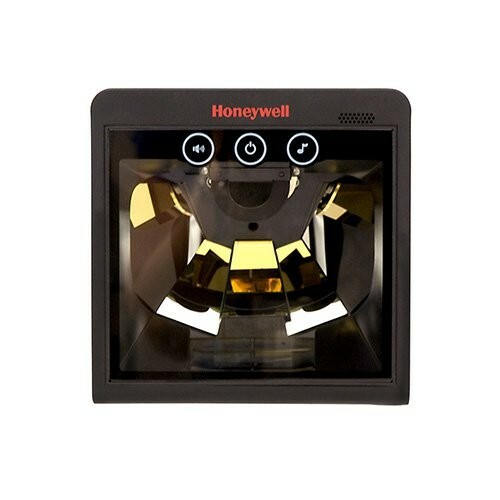 Honeywell's Solaris 7820 hands-free vertical mini-slot scanner increases productivity with an unmatched feature set that aggressively scans high-density codes and fits easily into any existing enclosure found in small item, high-volume retail environments. Every scanner comes standard with an integrated RF EAS antenna, Checkpoint and Sensormatic interlock and the ability to be Flash upgraded. The 7820 Solaris laser presentation scanner comes with multiple interfaces to help protect infrastructure and ensure compatibility with most POS systems. Read barcodes as small as 5.0 mil in a compact, hands-free form factor.